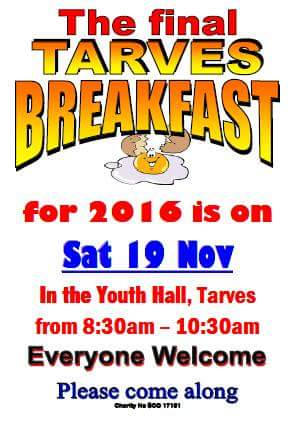 The last Tarves Breakfast for 2016 is on this Saturday from 8:30 AM to 10:30 AM at the youth hall. 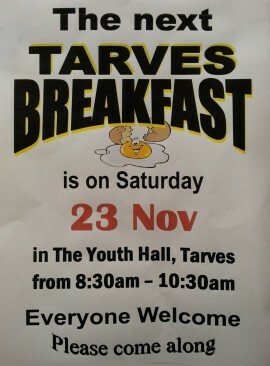 Come and join the your friends and neighbours but for a bit of sizzle that will set you up for the day. 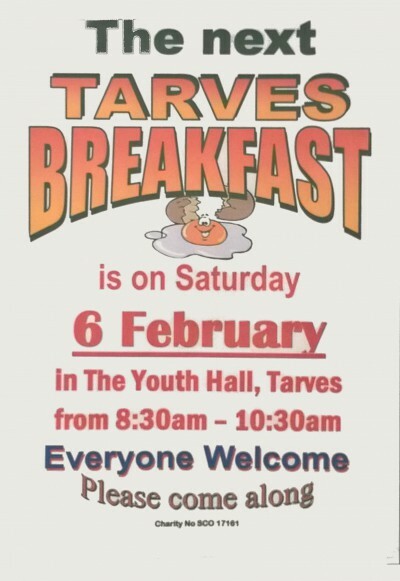 Its the Tarves Breakfast This Saturday in the Youth Hall down Kirk Brae. Great way to start your Saturday !